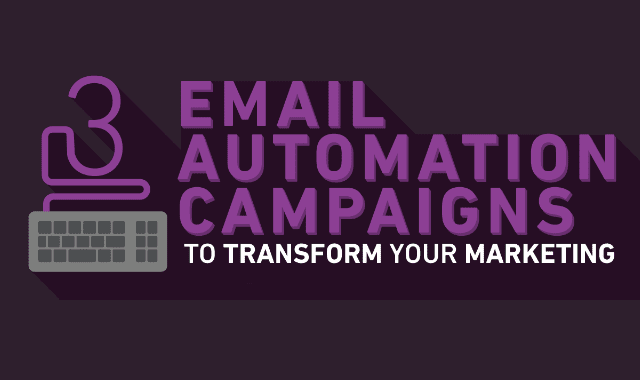 3 Email Automation Campaigns To Transform Your Marketing #Infographic ~ Visualistan '+g+"
Email campaigns and automation are fantastic, low-cost tactics you can use to easily make the most of your marketing. In fact, companies that use automation strategies have reported an increase in revenue within the first 6 months of use. By creating carefully targeted and relevant content with drip email campaigns, you can achieve various business goals such as engaging or re-engaging consumers, nurturing your customer relationships or build credibility and trust around your brand. There are several ways to do this but we’ve taken out the guesswork and found 3 types of automation campaigns you can implement to boost your brand and bottom line today.